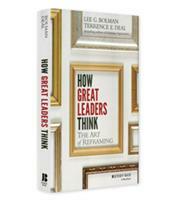 How Great Leaders Think: The Art of Reframing uses compelling, contemporary examples to show how better thinking is the key to better leadership. Leaders who can reframe, capture a sharper image of what’s going on around them and understand what they need to do to achieve the results they want. Lee Bolman and Terrence Deal’s influential four-frame model of leadership and organizations offers leaders an accessible template for understanding four major dimensions of organizational life: structure, people, politics, and culture. Tapping into the power of the imagery enables leaders to decode the messy world in which they live, see more options, tell better stories, and find more powerful leadership strategies. How to use structural tools to organize teams and organizations for better results. Techniques to build morale by aligning organizations and people. Strategies to map the political terrain and build a power base to navigate the partisan struggles in organizations. 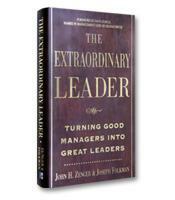 How to develop a leadership story that shapes culture, provides meaning and inspires people toward a shared purpose.